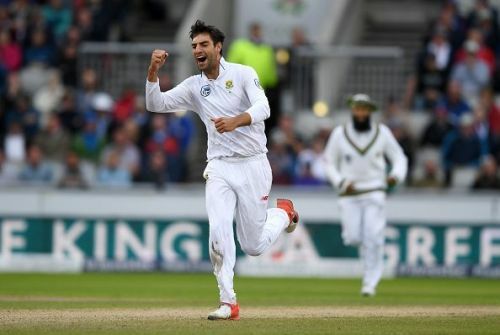 The 26-year-old South African fast bowler Duanne Olivier has made the difficult decision to sign a Kolpak deal with English county Yorkshire. The young upcoming pacer has turned his back on international cricket. He has signed a 3 year deal, meaning that the world no.19 Test bowler cannot play for his nation, South Africa for the next 3 years. Duanne Olivier made his debut for South Africa in 2017, as a replacement for the fast bowler Kyle Abbott, who quit international cricket by signing a Kolpak deal with Hampshire. Olivier’s rise has been significant in international cricket as the fast bowler has scalped 48 wickets in 10 Test matches at an average of 19.25. He was also a part of the Test series between South Africa and Sri Lanka where he was the best bowler for the Proteas side. Olivier made this news official by sharing a post on his Instagram account. The pacer revealed that he switched to this route considering the learning opportunities he would receive, in addition to the invaluable experience he may gain playing county cricket. Speaking to Yorkshire's website, Olivier said, "I came over to the UK last year and thoroughly enjoyed my time playing county cricket. I have since realised I could happily base myself there for the foreseeable future. "I was originally looking to come back as an overseas player but when I got a long-term offer from Yorkshire as a Kolpak I knew that signing for the club would be the best option for both myself and my family. I am a bowler that wants to keep pushing myself to see how far I can go and as I enter my prime I want to be in the best possible situation to grow. Another big reason was the longevity of my career," he added. The future of South African pace bowling looked good in the hands of Duanne Olivier, but it seems like the Proteas' team management now need to find a pacer who can fill his boots.